Why Use a Speakers Bureau? 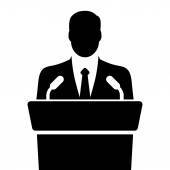 When businesses small and large, non-profits and charities, institutions of higher education, political action societies, religious groups, and other entities plan a major speaking event, they often resort to a professional speakers bureau to help them select the ideal speaker. A speakers bureau is an organization that specializes in matching paid, high-demand speakers with the topics, event-types, and clients they are best able to serve. Some speakers bureaus will focus on one particular type of speaker or one special theme, but most have access to a large and diverse speakers’ list that covers a wide swath of personal backgrounds, speaking styles, and topics. Fields covered by speakers bureaus include: motivational or keynote speakers, political speakers, comedians and entertainers, celebrities, sports-event speakers, business experts, economists, educators, science and tech speakers, marketing strategists, and more. Events commonly sourcing speakers through a speakers bureau include: business conferences, training seminars, awards events, after-dinner events, celebrity appearances, building project fundraisers, religious outreach programs, and much more. Scheduling introductory meetings between speakers and clients, facilitating continued communication thereafter, overseeing the booking process, and sometimes, doing follow-up after the event. Helping to negotiate the speakers’ fee, though the amount will depend in large part on the speaker and his/her agent. The speakers bureau also generally charges a commission on the speakers’ fee. Handling contracts, arranging transportation and accommodations, and keep everything well timed. Providing an online portal to make finding the perfect speaker easier than ever before. The best speakers bureaus, however, will not be online-only. Traditional bureaus tend to have more hands-on experience—something that is simply irreplaceable.